I first met Laura Wilde during our sophomore year at St. Olaf College in Northfield, MN. At St. Olaf, it soon became obvious to everyone who listened to her that she was going to make something of herself in the notoriously competitive world of opera. Unsurprisingly, she’s done just that! Playing Freia in Lyric Opera of Chicago’s latest production of Wagner’s Das Rheingold, Wilde was gracious enough to answer a few questions about herself and the production for Opera Sense. What was your first experience with Wagner? I have two first Wagner experiences. My first real exposure was in college at St. Olaf in music history. We studied Dutchman. He was my favorite composer to academically study. My final paper was written on Isolde’s “Liebestold.” The leitmotivs are so fun to explore and understand. He was a genius! My first performance in a Wagner opera was Parsifal at the Lyric Opera of Chicago. I was a flower maiden. It was fun, but I didn’t really fall in love with singing Wagner until being in Das Rheingold. The flower maidens weren’t in a lot of the opera, and weren’t really individual characters. Freia is in a good amount of Rheingold and she is a great character, especially in this production. The director has allowed me to find depth and have unique and genuine reactions to what’s going on around her. In the spirit of getting to know you a bit better, have a little fun and rank the following in order of your preferred listening material: Norma, Siegfried, Le Nozze di Figaro, La Traviata, and Der Rosenkavalier. The only clear/easy choice was Rosenkavalier. R. Strauss is my man! I love his operas. The music and the characters really speak to me and I love singing them. I feel like you never get to the bottom of Strauss music and characters. Wagner is the same. 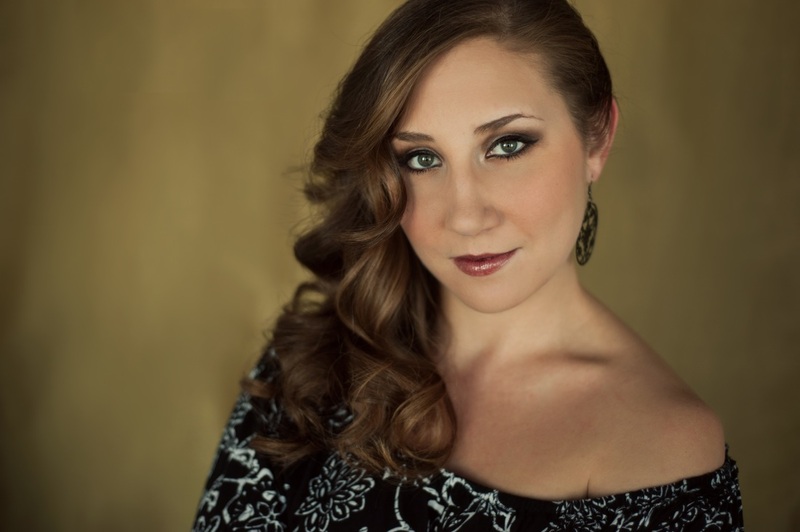 You were a member of the Ryan Opera Center at the Lyric Opera of Chicago until you graduated in the 2015/2016 season. How excited were you when Lyric Opera of Chicago asked you to come back so soon after graduating and play Freia in their new production of Das Rheingold? What advice would you give to those coming to Das Rheingold at the Lyric who are new to the Ring (or to Wagner)? Advice for new opera or Wagner goers, I would say to just enjoy it. This production specifically is a beautiful stage spectacle and only 2 1/2 hours. I did, however, recommend to my friends coming to see it that they watch this beforehand (YouTube video below). It’s hilarious and gives a great basis for understanding the story and how Wagner wrote leitmotivs. If you had to choose one moment or scene in the opera that you would create a YouTube clip from, what would it be? A great YouTube moment would be Donner’s calling to the fog. I love this part of the opera. How is Lyric’s production of Das Rheingold “different from any production of any Wagner anyone has seen so far,” as Fabrice Kabour explained in a recent Chicago Tribune article? This production is unique because it is a throwback to old stage “magic.” Most Rings today are all about trying to make everything look real. This production shows how the magic works and invites the audience to use their imagination and feel more closely what the original audience might have seen onstage when it was premiered. It is also very much about the story telling. Also unique is the very blatant Stockholm Syndrome that happens with Freia and the giant Fasolt. She realizes that he really is the only character on stage that wants her for her, not because she has magical apples that keep everyone young. I even have a “ballet” with Fasolt during the transition between scenes 3 and 4. What particular challenges have you faced as a performer in this production? Speaking of the ballet, that leads to the particular challenges for me in this production. I spend the majority of the time caught up in or working with a 7 ft long giant inflatable arm/hand. An actor is holding at one end and I am caught in the other. It took a long time to figure out how to work with it so it looked natural. When I get “pulled” away by the hand, I actually have to push against it to make sure I stay in place. And I do get pulled and pushed around a lot during the course of the show. I also do a ballet with that inflatable arm and did lots of work to make sure it looked graceful and showed the tenderness between Freia and Fasolt. Luckily, they have an amazing group of actors working the arm, pushing the giant’s scaffolding around and helping me in and out of my giant apple cart. On top of that, once we got to the point where most things felt pretty natural, we added a corseted costume with a full, tool tutu. Suddenly everything became more difficult! But I think it’s going to look really effective from the audience! And at least I’m not suspended on giant camera dollies like the Rheinmaidens! Describe how you feel when you hear the Freia leitmotiv. I love the Freia leitmotif. It’s beautiful and, as an actress, I love how it informs the moment. Wagner made it clear when things are suppose to happen based on those motifs. It also always highlights when I have a vocal entrance. Every line I sing is prepared with some version of the theme in the orchestration. But I have also loved finding new moments when it shows up in the orchestra and trying to react to it on stage, almost as though it was another character saying something to me. Overall, this experience has gotten me really excited at the prospect of singing more Wagner in my career. Wagner and R. Strauss specifically make me feel as though there will be no end to the academic study, understanding of the beautiful languages and psychological discovery of the complex characters. And that is why I love my job. I love the craft and the ever-unfolding challenges ahead.